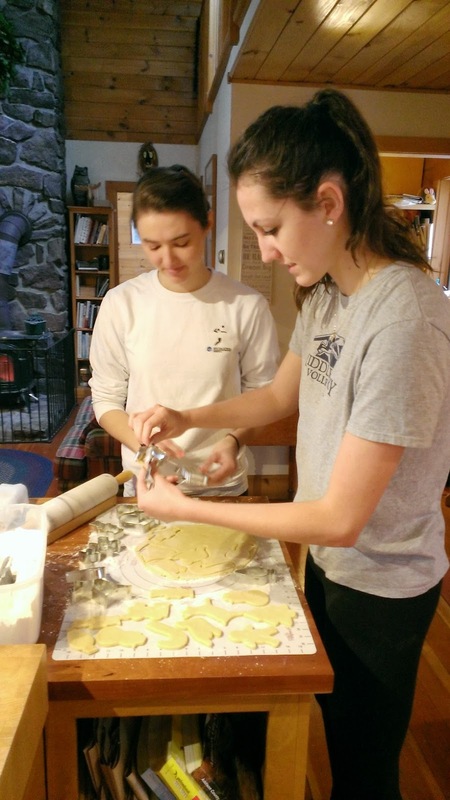 MIDD Volleyball 2017-18: Making Christmas Cookies!!! 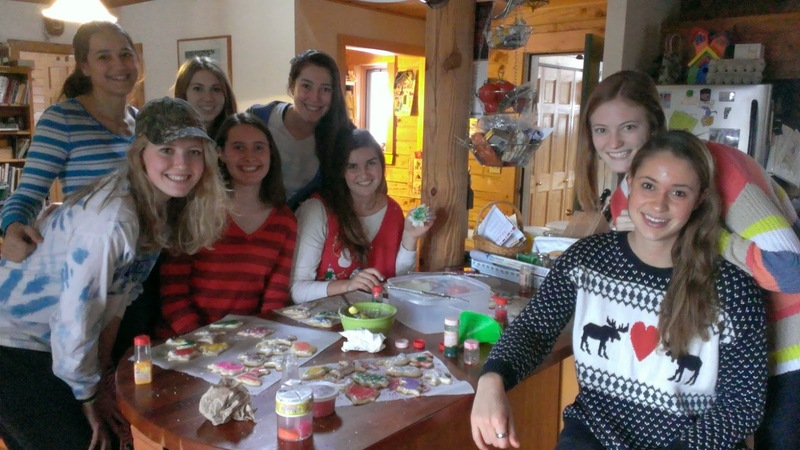 We decided that getting together to make Christmas cookies would be a great study break during Finals Week. 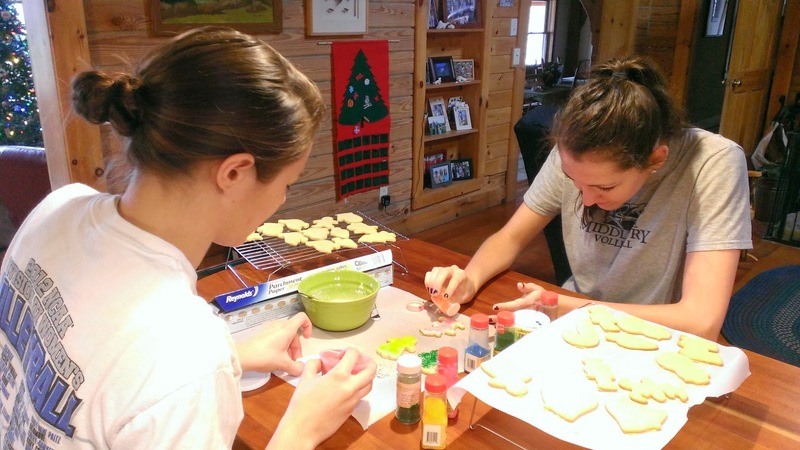 Meg and MJ came out in the morning to help make the cookies, and wave two came in the afternoon to decorate them. 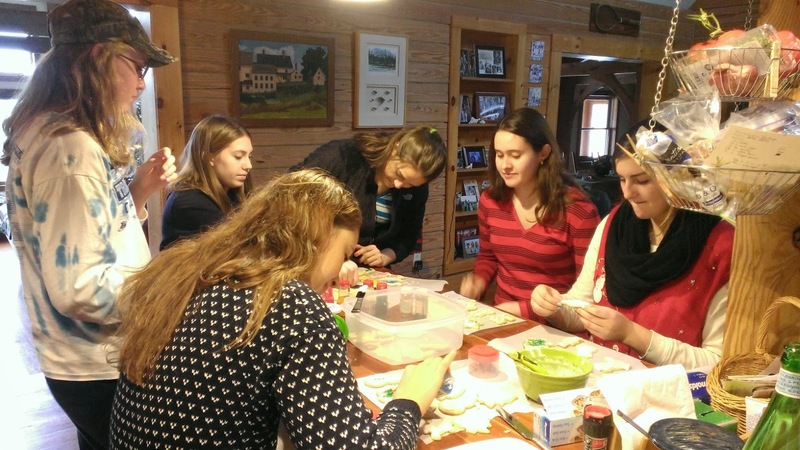 We played Christmas music, had the fire going, and just had a relaxing time rolling out the dough, selecting the cutters, and then baking and decorating the cookies. And, of course, eating them at every stage along the way. I always loved eating the raw dough, so I always let my kids (big or small) eat the dough, so we had to taste it along the way in all of it's different stages. 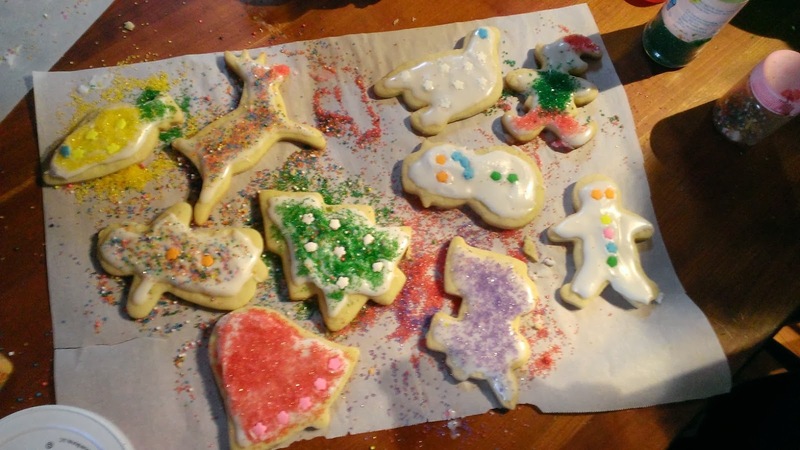 Then, in the afternoon, the second wave came and we decorated the rest of the batch of cookies, and had fun taking pictures of the creations. 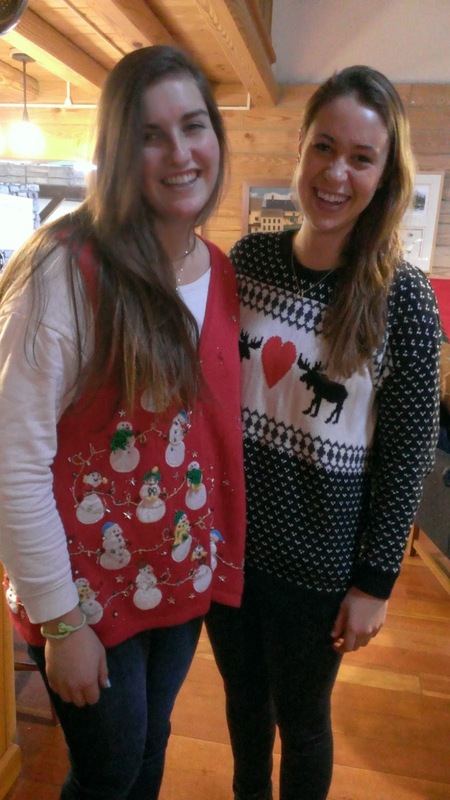 Gabi and Kathryn won the Holiday Spirit with their festive sweaters, but fun was had by all! 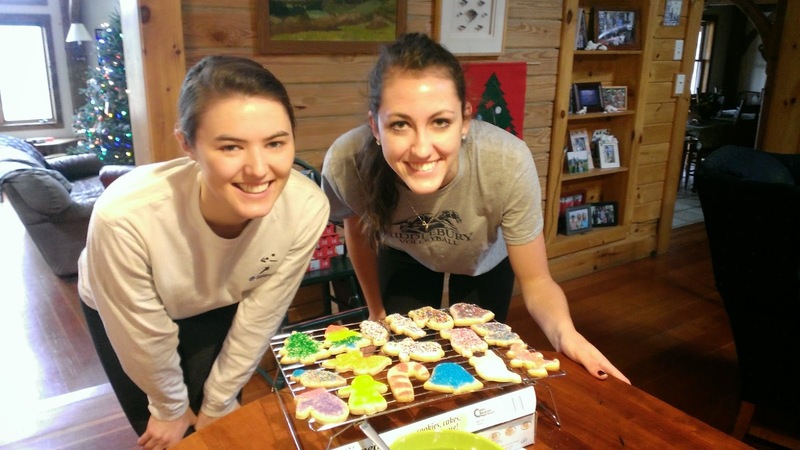 And, sugared up and armed with a few cookies to take back with them, they headed back to the college to keep plugging away at the work still left for them. And, Gabi and Kathryn definitely had the most Holiday spirit with their awesome sweaters!! Nicely done, ladies! Thank you for visiting our Team Blog. If you have any comments you'd like to share, please email srauneck@middlebury.edu. I welcome your comments, and any MIDD volleyball news you have to share!